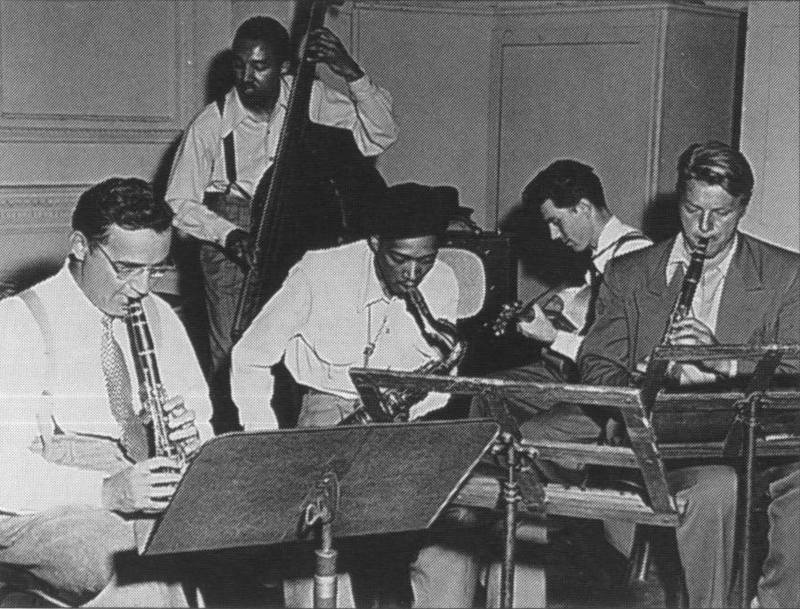 From left: Benny Goodman (cl); Ray Brown (b); Wardell Gray (ts); Chuck Wayne (el-g); Stan Hasselgard (cl). 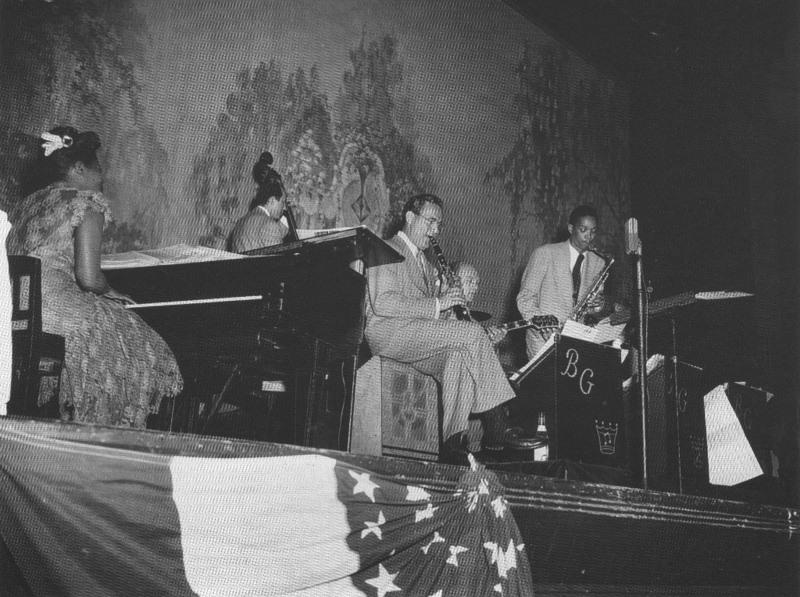 in summer, 1948 at the Westchester County Center, White Plains, NY. 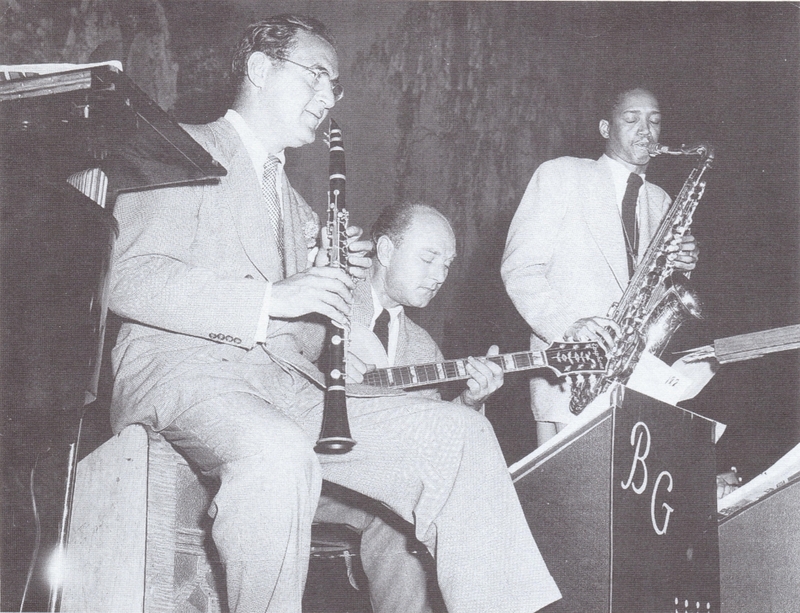 From left: Benny Goodman (cl); Billy Bauer (g); Wardell Gray (ts). Westchester County Center, White Plains, NY, poss. 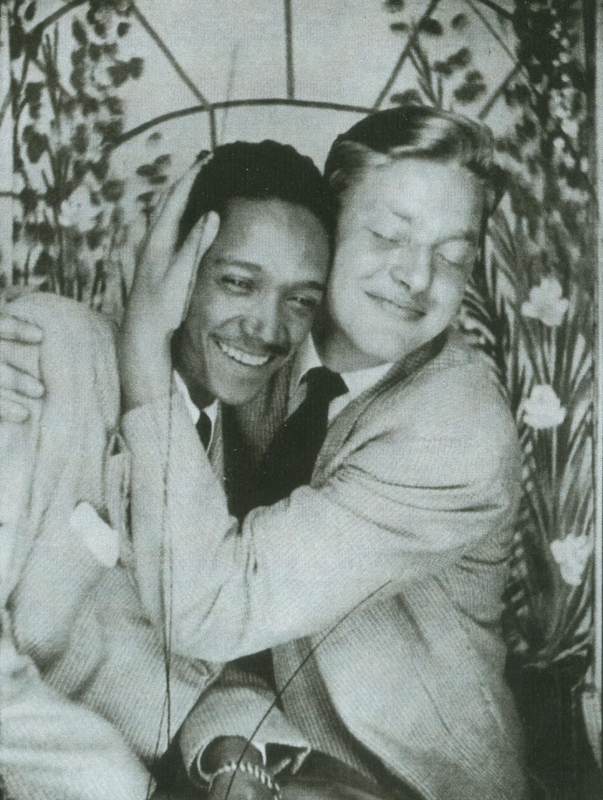 July 2, 1948. 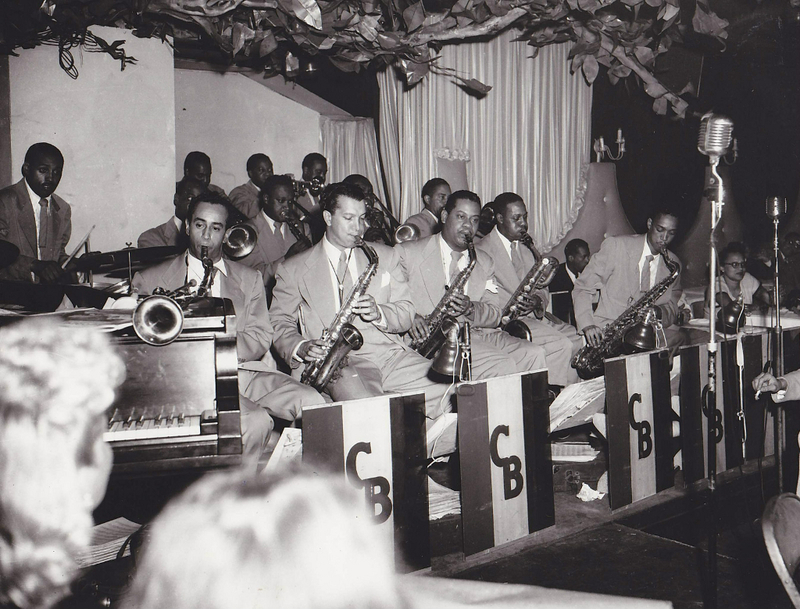 From left: Mary Lou Williams (p); Clyde Lombardi (b); Benny Goodman (cl); Billy Bauer (el-g); Clyde Lombardi (b); Wardell Gray (ts). 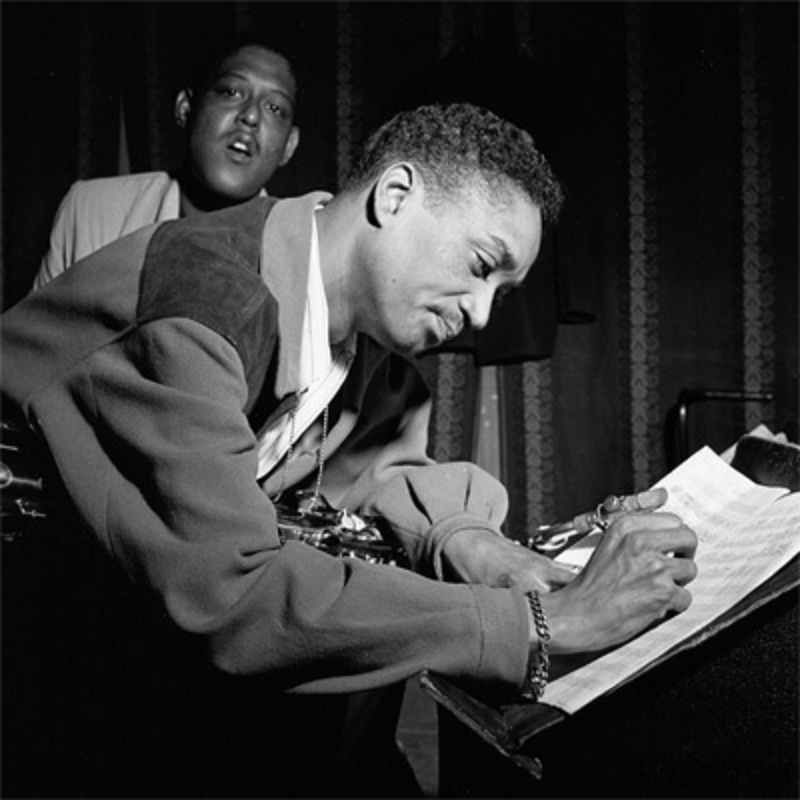 Note recording session in New York City on September 13, 1948. 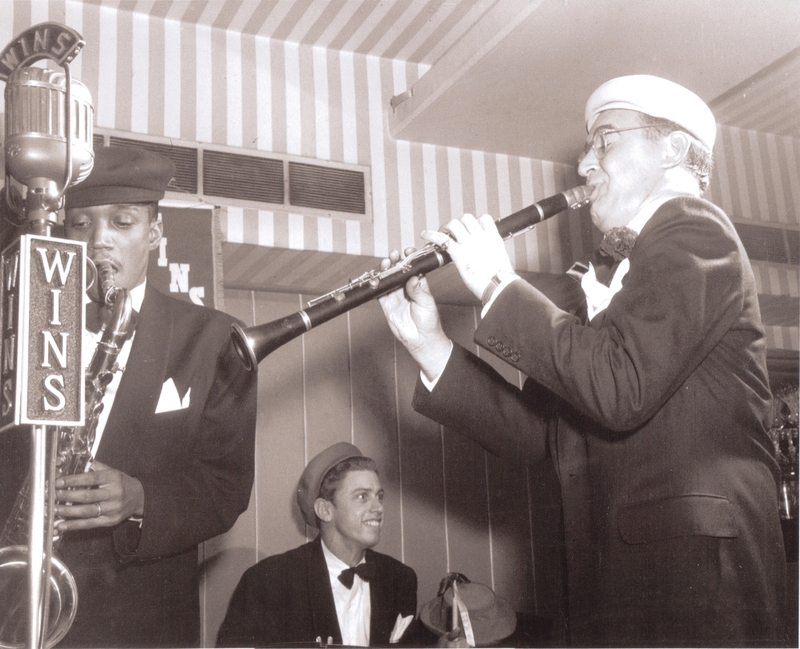 Wardell blows with the Count Basie band at the Royal Roost, September 29, 1948. 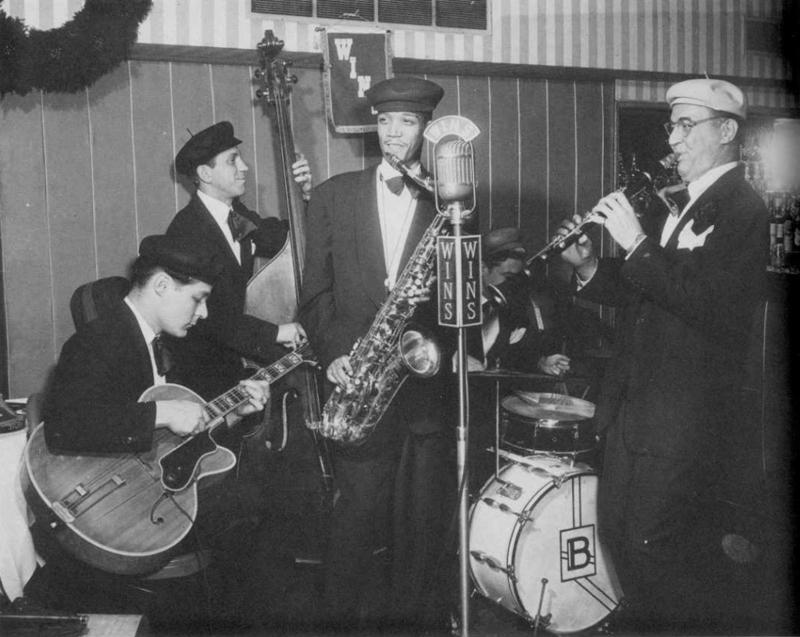 From left: Rossiere “Shadow” Wilson (d); Bill Johnson (tb); Emmett Berry (tp); Paul Gonsalves (ts); Clark Terry (tp); Ted Donnelly, Harry “Sweets” Edison (tp); Earl Warren (as); George Matthews, Dickie Wells (tb); Bernard “Bernie”/“Burnie” Peacock (as); Ronald “Jack” Washington (bar); Wardell Gray (ts). 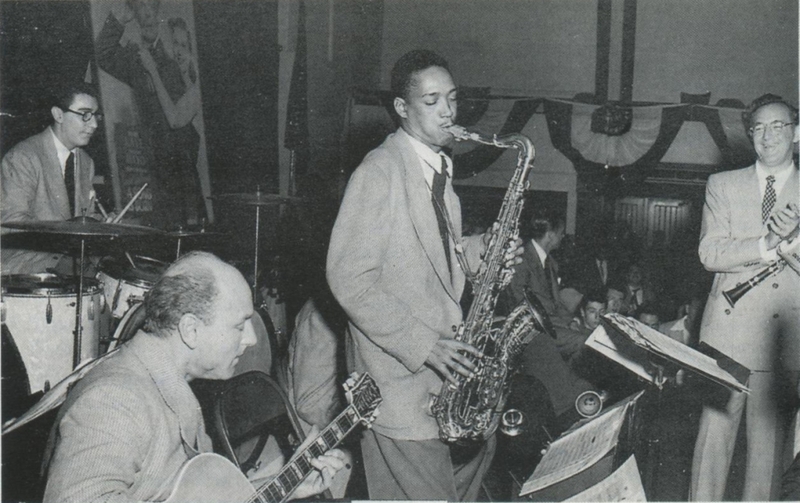 "Bop Goes to the Stork Club", January 7, 1949. 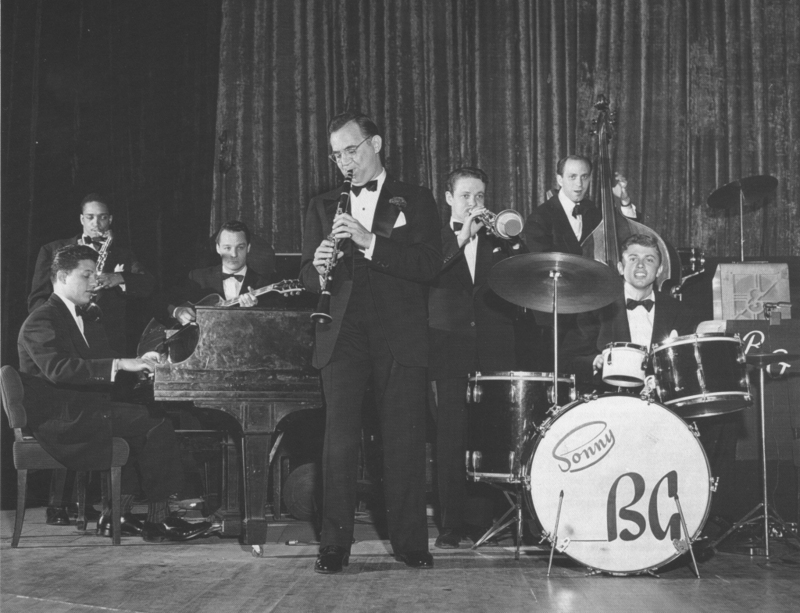 Sonny Igoe (d) and Benny Goodman (cl). 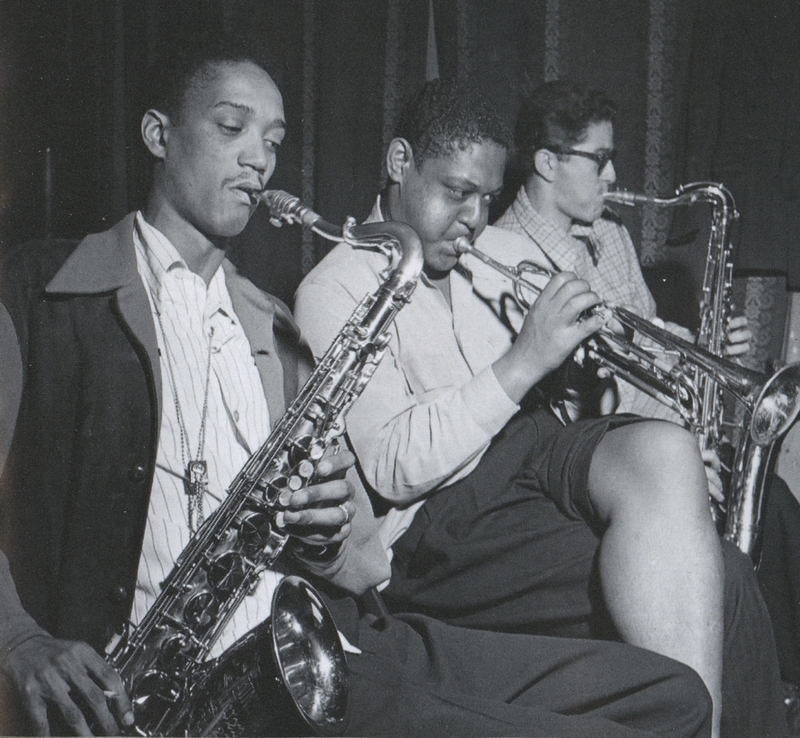 From left: Wardell Gray (ts), Sonny Igoe (d) and Benny Goodman (cl). 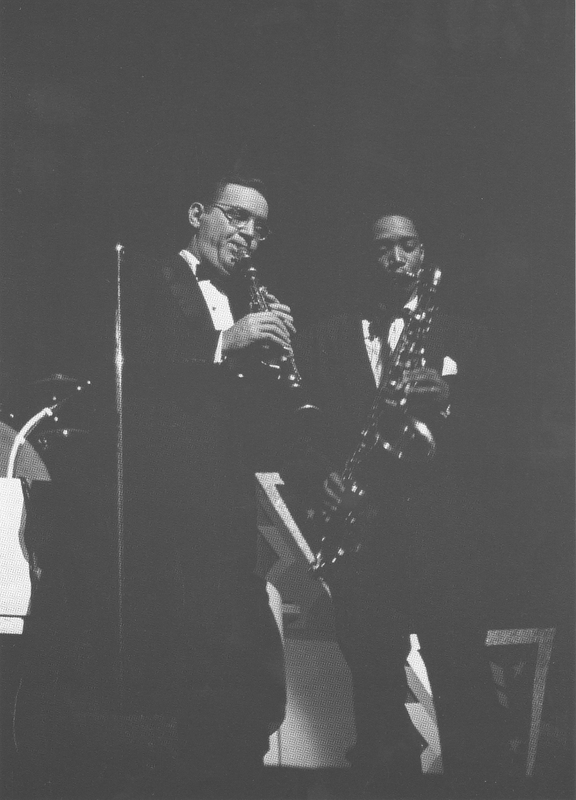 Benny Goodman and Wardell Gray, 1949.